Thursday, May 3, 8 p.m., Luggage Store Gallery (LSG): This will be the usual two-set offering of adventurous improvisation. This week both of the performances will be duos. The first will bring together violinist gabby fluke-mogul with guitarist amy reed. They will be followed by saxophonist Biggi Vinkeloe engaging with the live electronics of Tim Perkis. LSG is located at 1007 Market Street, across from the corner of Golden Gate Avenue and Taylor Street; and admission is on a sliding scale between $8 and $15. 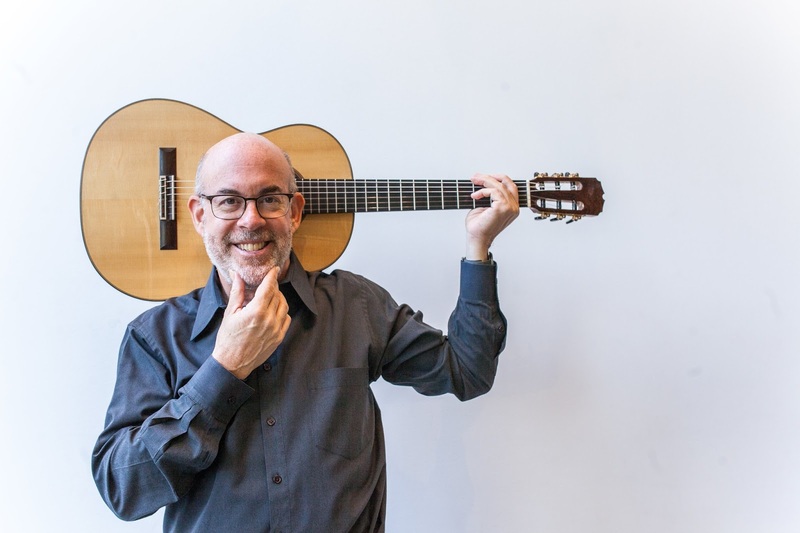 Friday, May 4, 7 p.m., Adobe Books: It looks like Benjamin Ethan Tinker has come up with a second concert for May, just as he had arranged two concerts for last month. This will be a three-set evening with Mike Pontecorvo performing in two of them. In one he will contribute his generative architecture for electronic synthesis to the Broken Whole trio, whose other members are percussionists Mark Pino and Tim Orr. In the other set he is a member of the larger Cartoon Justice combo, which will perform music planned for their upcoming East Coast tour. In addition, South African instrument maker Mogauwane Mahloele will improvise with both Broken Whole and Cartoon Justice; and he will also take a solo set to perform his own works. Adobe Books is located at 3130 24th Street in the Mission between South Van Ness Avenue and Folsom Street. The gig is free. However, donations will go directly to the performing artists and are strongly encouraged. At past events Adobe has provided free refreshments to those who make a book purchase of $6 or more, and it is likely that the managers of the book store will maintain this effort to encourage reading their offerings. Monday, May 7, 8:30 p.m., Make Out Room: Finally, the first Monday of May will feature the next Monday Make-Out. The first set will feature guitarist Karl Evangelista improvising with members (yet to be announced) of several of the groups to which he belongs. The second set will be taken by the Rubber City quartet of David Slusser on soprano and tenor saxophones, Sheldon Brown on alto saxophone, Lisa Mezzacappa on bass, and Chris Ackerman on drums. Their improvisations will be offered as a memorial to Ralph Carney, one of the founders of the group. Mezzacappa will then join up with drummer Jason Levis and Phillip Greenlief on reeds to perform realizations of Greenlief’s graphic scores collected under the title BARBEDWIRE. A little over a week ago, Delos released its third recording of Cappella SF, an a cappella chamber choir based in San Francisco (as its name implies), conducted by Ragnar Bohlin. 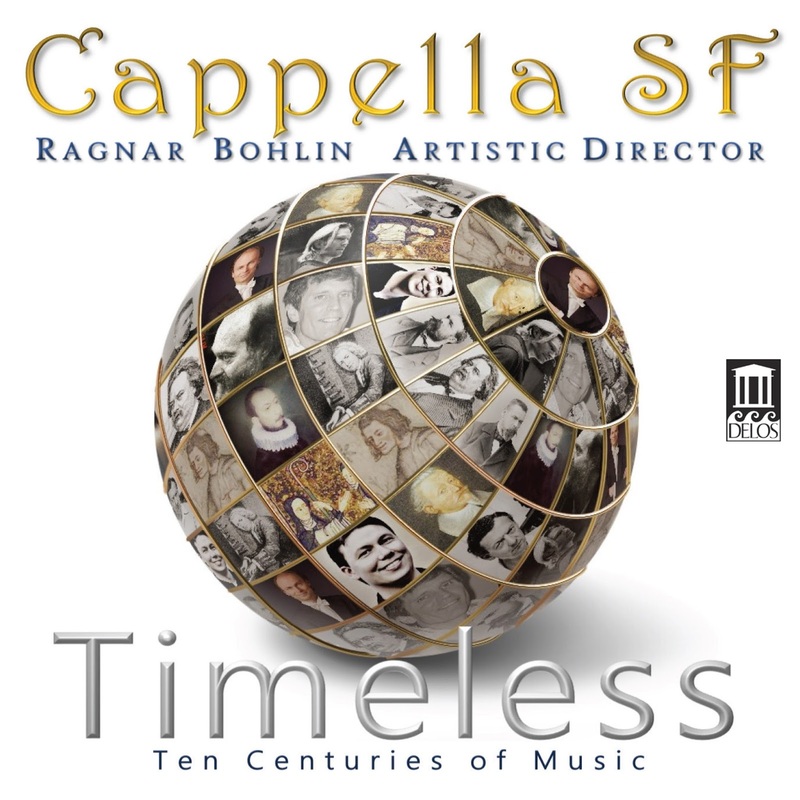 The title of the new album is Timeless: Ten Centuries of Music, which also happens to have been the title of the concert that Cappella SF presented in October of last year. However, the recording sessions for this album, engineered by David Bowles’ Swineshead Productions, took place on either side of this performance, in both June and November of that same year. As one may guess from the title, the album is basically a historical anthology with the selections presented roughly in chronological order. The description on the Amazon.com product page (once again under the Editorial Reviews header but actually appropriated from the Naxos of America New Release Guide) states that the album “offers choral fans and history-minded classical music aficionados a rare smorgasbord of choral compositions encompassing every musical period of the past millennium.” While I would suggest that the determiner “every” is a bit too hyperbolic to be accurate, there is definitely a generous amount of scope in the fourteen selections of this album. With Hildegarde of Bingen (one of the liturgical songs from her Symphonia armoniae celestium cycle) as the first track, the repertoire gradually approaches the “immediate present” with the world premiere recording of Ola Gjeilo’s setting of the “Veni Sancte Spiritus” sequence. Those who have followed the way in which I track the release of recordings probably know by now that I prefer “going deep” to “going wide.” For example, where Hildegarde is concerned, I made it a point to acquaint myself with all nine CDs that Sony reissued as its Hildegarde von Bingen Edition. This was not just a matter of being thorough. Every composer, through his/her compositions, establishes his/her own “ground rules for listening,” rules for which “musical period” is far too broad an approach to categorization. Just as my father used to like to say “One is not a statistic,” those ground rules can almost never be inferred on the basis of a single sample. On the other hand for those who prefer breadth to depth, the selection on the album is definitely impressive for the scope of its variety (even if it does not encompass “every musical period”). Thus, even the casual listener can come away with a sense of just how significantly things changed as practices of making music progressed from Hildegard to Guillaume de Machaut to Carlo Gesualdo and then to Heinrich Schütz (by which time we have advanced only to the middle of the seventeenth century, prior to the birth of Johann Sebastian Bach). At this point the chronological gaps begin to widen, probably through a desire to give a fair account to the twentieth and current centuries, even if it involves short-changing the eighteenth and nineteenth. Nevertheless, my personal feeling is that, if one is going to “go wide,” then this is the way to go, since the eighteenth and nineteenth centuries tend to be “havens of familiarity” for most listeners. To the extent that the mission of Timeless was to offer up new encounters, it has succeeded admirably, admirably enough that, even with my own preference for depth, I definitely see myself returning to it for further listening experiences. 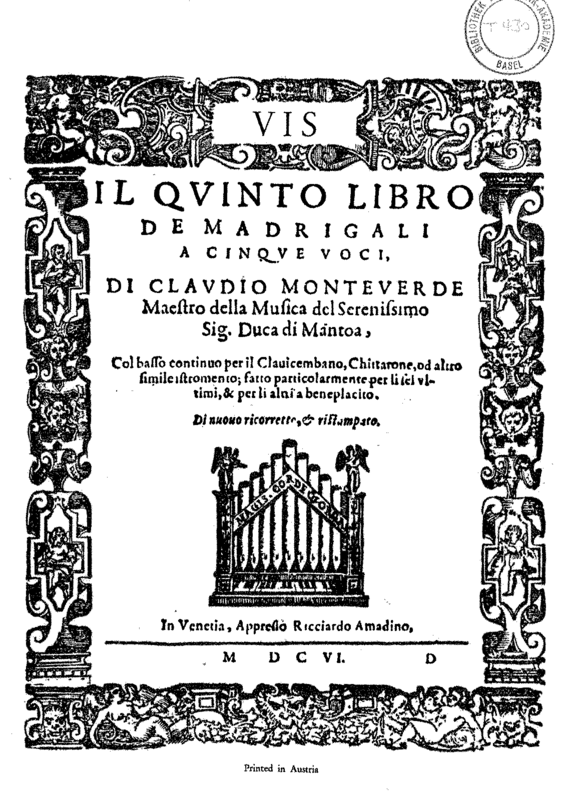 Brilliant Classics REALLY Concludes Monteverdi Project! 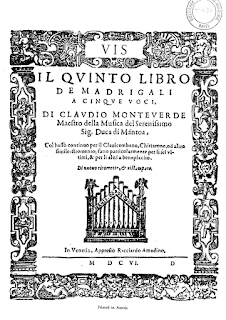 It turns out that last November’s announcement that Brilliant Classics had concluded its project to record all of the madrigals of Claudio Monteverdi was not quite correct. While it is true that, with the release of a recording of the ninth book of madrigals in September of last year, Brilliant had released albums of all of the Monteverdi books sung by the early music group Le Nuove Musiche (the new music) led by Krijn Koetsveld, the two-CD release of the fifth and sixth books was not part of the “official complete madrigals project,” which was given the title Monteverdi XL. That earlier album was released in January of 2014 based on recordings made in 2008, while the first album to have Monteverdi XL on the cover was the two-CD release of the seventh book, which came out in January of 2016. With this recording the acclaimed ensemble Le Nuove Musiche, led by director Krijn Koetsveld, have come full circle and at last completed their monumental undertaking of a complete cycle of Claudio Monteverdi’s books of madrigals. In bringing this endeavour to a close the group have returned to their starting point, recording a fresh take of perhaps the most famous set, Monteverdi’s groundbreaking Books V & VI, previously released by Le Nuove Musiche one decade ago at the start of this musical journey. Quite honestly, I am not quite sure how to take this. Given the commitment of Le Nuove Musiche to early music, I am inclined to think that this was sort of a nod to Guillaume de Machaut’s rondeau “Ma fin est mon commencement” (my end is my beginning). Considering the impact of this text on T. S. Eliot, that is a rather classy source of inspiration. However, I must confess that, however well-informed my own capacity for listening may be, I find myself hard pressed to identify any features that distinguish the new release of these two books from the old one. 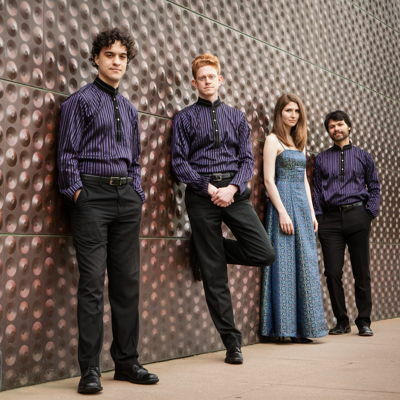 What matters more is the Koetsveld and his ensemble have now gone “on record” (pun intended) with accounts of all of Monteverdi’s madrigals that make for highly absorbing listening experiences. The final program to be given in the 25th anniversary season of the Left Coast Chamber Ensemble (LCCE) will feature music by Arnold Schoenberg that is seldom performed. One of the biggest problems with arranging a performance of his Opus 24 is that of recruiting the necessary performers. Only seven instrumentalists are required; but the parts are for violin, viola, cello, mandolin, guitar, clarinet, and bass clarinet, not the sort of instrumentation one encounters in the serenades of Wolfgang Amadeus Mozart. In addition, the fourth of the seven movements sets one of Petrarch’s sonnets, whose vocal line requires a bass voice. Schoenberg was working on this piece at the same time he was wrestling with the theoretical problems behind what would emerge as his twelve-tone technique (between 1920 and 1923). His decision to call his Opus 24 a serenade suggests that his intention was to demonstrate that his efforts to depart from the concept of a tonal center constituted a logical step in the evolution of past approaches to composition. By the time he began work on Opus 24, Schoenberg had invested several years into taking what is now called “free” approaches to atonality. The sonnet setting marks his first use of the twelve-tone technique, while all of the instrumental movements present some of the composer’s last approaches to “free” atonality. 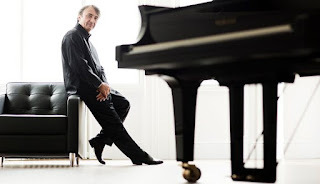 This past January Michael Tilson Thomas (MTT) prepared a program that included Schoenberg’s Opus 42 piano concerto with Emanuel Ax as the soloist. MTT provided a brief introduction of remarks that could be distilled down to a simple piece of advice to the audience, “Listen to the rhythm, not the atonality.” If it was not hard to detect traditional Viennese schmaltz in the rhythms of Opus 42, those of Opus 24 are jauntier and perhaps shaded with a bit of the decadence that Christopher Isherwood tried to captured in the two novellas he collected under the title The Berlin Stories. Think of a cabaret band trying to anticipate the bebop innovations of Charlie Parker and Dizzy Gillespie. LCCE will set the stage, so to speak, for Opus 24 by presenting two other serenades. The earlier of these was written by one of Schoenberg’s lesser-known students. The student was Sándor Jemnitz; and the selection will be his Opus 33 trio for violin, viola, and guitar, which he composed in 1932. The other piece to be performed will be the world premiere of a serenade entitled “Rinconcito” that Nicolas Lell Benavides composed for LCCE, following Schoenberg’s lead of adding a guitar to a string trio. The San Francisco performance of this concert of serenades will take place on Monday, May 21, in the Recital Hall of the San Francisco Conservatory of Music (SFCM). SFCM is located at 50 Oak Street, between Van Ness Avenue and Franklin Street and a short walk from the Van Ness Muni station. Tickets will be sold at the door for $35 for general admission and $18 for those under the age of 35. However, if the tickets are purchased in advance through a Vendini event page, the prices will be $30 for general admission and $15 for those under the age of 35. (The discount is applied after the number of tickets to be purchased is specified.) Those requiring further information may call 415-617-5223 (LCCE). The second half of the program was devoted entirely to John Dowland, definitely the most celebrated lutenist of his day, recognized not only for his performance technique but also for his prodigious capacity for invention. As O’Dette demonstrated, Dowland could take the simplest of passages and ornament them into highly elaborate structures that could be as emotionally compelling as they were innovative. During the first half O’Dette played selections by John Johnson, recognized as the first great English lutenist, as well as three relatively short pieces by Daniel Bacheler, who was also highly successful in his day, even if his documented legacy is somewhat modest. The first half also included several pieces that were either anonymous (as in the composition for which the program was named) or unattributed, as was the case for the Scottish tunes taken from a book of lute music compiled by Sir William Mure of Rowallan. O’Dette presented each set of pieces with a brief verbal introduction. He is as much a reputable research scholar as he is a performer. Fortunately, his introductory material was directed at a curious audience, rather than a convention of musicologists. As a result, he consistently found the right way to guide the listening experience through awareness of distinctive features without wasting any time on promoting his own authority. This was particularly evident in his preparing listeners for the dissonances in “The Gypsies Lilt,” one of the selections from the Rowallan collection. It was also interesting to speculate on the extent to which the music that O’Dette played resided solely on the notation (which could have been either tablature or the contemporary five-line staff) and how much involved improvisation. The first four anonymous selections on the program began as melodic settings of words (hence the titles like “Robin is to the Greenwood Gone”). O’Dette’s performance of these selections was basically one of theme-and-variations; but, as is the case in jazz practice, those variations could just as easily have been spontaneous as notated. O’Dette concluded his program by departing from England. He played a passacaglia by an Italian composer from the same period, Alessandro Piccinini. The attentive listener would probably have recognized several tropes that emerged as the variations on the basic theme unfolded. Some of those tropes would later show up in Johann Sebastian Bach’s BWV 582 C minor passacaglia. This should not have been much of a surprise. Bach had his sources for learning about the music of his predecessors, even those working in Italy; and, for all we know, Piccinini was simply using tropes familiar to his own contemporaries, which Bach subsequently adopted for his own purposes. Saturday, May 19, and Sunday, May 20, 6:30 p.m., ODC Theater: Tomorrow (May 15) ODC will begin its 2018 Walking Distance Dance Festival. While the emphasis of this festival is on a diversity of approaches to dance, there will be one program that will be devoted entirely to free improvisation with simultaneous performances by both dancers and musicians. The dancers will be Rashaun Mitchell and Silas Riener. The musicians will be Phillip Greenlief on saxophone and Shoko Hikage on koto, along with improvised recitation of text by Claudia La Rocco. Saturday, May 19, 8 p.m., SOMArts Cultural Center: SOMArts will provide the venue for the next concert to be given by Chad Goodman’s Elevate Ensemble. Goodman has prepared a program of contrasting revolutions in music. He will begin with a piece from a little over 100 years ago that significantly changed our ways of thinking about both making and listening to music, Arnold Schoenberg’s Opus 9 chamber symphony, written for fifteen instrumentalists (five strings, eight woodwinds, and two horns). This will be followed by two world premieres. The first will be a commissioned chamber symphony created by composer-in-residence Julie Barwick. This will be followed by David Lipten’s “Tongue and Groove,” the winning selection from Elevate’s second annual call for scores. SOMArts is located at 934 Brannan Street (in SOMA, of course). Both doors and the Center’s bar will open at 7:30 p.m. General admission will be $35. However, there is also a Premiere level of ticket that includes open bar service for $55. In addition general admission tickets purchased through May 5 will benefit from an Early Bird rate of $25. Tickets may be purchased in advance online through an Eventbrite event page. Saturday, May 19, 8 p.m., Herbst Theatre: New Century Chamber Orchestra will conclude its 2017–2018 season with the West Coast premiere of Philip Glass’ third piano concerto. The soloist will be Simone Dinnerstein, who will also serve as soloist in a performance of Johann Sebastian Bach’s BWV 1058 keyboard concerto in G minor. The ensemble will be led by Guest Concertmaster Zachary DePue, who is currently Concertmaster with the Indianapolis Symphony. The remainder of the program will include the last of Francesco Geminiani’s six Opus 3 concerti grossi, written in the key of E minor, Benjamin Britten’s arrangement of a G minor chaconne by Henry Purcell, and “Aheym,” which Bryce Dessner originally composed for the Kronos Quartet. Herbst Theatre is located at 401 Van Ness Avenue on the southwest corner of McAllister Street. Ticket prices will be $29, $49, and $61. These may be purchased in advance online through a City Box Office event page. In addition, discounted single tickets will be available at the door. Patrons under the age of 35 will be admitted for $15, and students with valid identification will be charged only $10. Saturday, May 19, 8 p.m., Old First Presbyterian Church: This will be another instance of Old First Concerts (O1C) departing from its usual plan of events taking place at 8 p.m. on Fridays and 4 p.m. on Sundays. The Friction Quartet of violinists Otis Harriel and Kevin Rogers, violist Taija Warbelow, and cellist Doug Machiz will return to O1C, where they had been Artists-in-Residence last season. However, for this special performance they will be joined by Thorwald Jørgensen, one of the world’s leading classical theremin players. Playing as a quintet, they will give the United States premiere of “The Invisible Singer” by Canadian composer Simon Bertrand. They will also play Dalit Warshaw’s “Transformations,” as well as other works composed for this unique combination of instruments. Old First Presbyterian Church is located at 1751 Sacramento Street on the southeast corner of Van Ness Boulevard. General admission will be $25 with discounted rates of $20 for seniors and $5 for full-time students showing valid identification. Children aged twelve and under will still be admitted for free. In addition there is a $2 discount for tickets purchased online in advance from the event page for this concert on the Old First Concerts Web site. There is also a discount available for those parking at the Old First Parking Garage at 1725 Sacramento Street, just up the street for the church. Sunday, May 20, 3 p.m., Herbst Theatre: Chamber Music San Francisco will conclude its 2018 season with the San Francisco debut recital by Ukrainian pianist Alexander Gavrylyuk. Gavrylyuk has organized his program around three distinctly different approaches to the piano sonata. The earliest of these will be Joseph Haydn’s Hoboken XVI/32 in B minor. The second will be Alexander Scriabin’s Opus 53 (fifth) sonata, a sonata the peregrinates through several different tonal centers and was the first one that he wrote as a single movement. Scriabin wrote this sonata in 1907, and Gavrylyuk’s final sonata selection will be Sergei Rachmaninoff’s Opus 36 (second) sonata in B-flat major, written in 1913 and revised in 1931. The program will also include selections from Frédéric Chopin’s Opus 10 collection of études and Rachmaninoff’s Opus 23 collection of preludes. The opening selection will be Ferruccio Busoni’s transcription of Bach’s BWV 565 toccata and fugue in D minor. Ticket prices are $48 (Orchestra and Boxes), $39 (Dress Circle), and $30 (Balcony). Tickets may be purchased online through a City Box Office event page, which includes a floor plan that shows the number of seats available in the different sections. Sunday, May 20, 4 p.m., Noe Valley Ministry: Noe Valley Chamber Music (NVCM) will present a recital by the Telegraph Quartet, whose members are violinists Eric Chin and Joseph Maile, violist Pei-Ling Lin, and cellist Jeremiah Shaw. They will give repeat performances of two of the selections they played this past Thursday at the San Francisco Conservatory of Music, where they are currently Quartet-in-Residence. The first of those selections will be “Wave Upon Wave,” the quartet that completes a trilogy composed by Robert Sirota over a span of fifteen years, given its premiere this past February. The other will be Maurice Ravel’s only string quartet. The program will also include Wolfgang Amadeus Mozart’s K. 575 quartet in D major. The Noe Valley Ministry is located in Noe Valley at 1021 Sanchez Street. Tickets are $30 at the door with a $25 rate for seniors and a $15 rate for students aged thirteen or older. (Those over the age of eighteen will be required to show valid identification as confirmation of full-time status.) Children younger than thirteen will be admitted for free. If purchased in advance through a Brown Paper Tickets event page, general admission will be discounted to $25. Tickets may also be purchased in advance by calling NVCM at 415-648-5236. Last night in Herbst Theatre the Philharmonia Baroque Orchestra (PBO) & Chorale concluded its 37th season with the traditional seasonal offering of a program of nineteenth-century music. The program, which was conducted by Waverley Fund Music Director Nicholas McGegan, was entitled Beethoven Unleashed; and both of the Ludwig van Beethoven selections, first and last on the program, featured the Philharmonia Chorale, prepared by Director Bruce Lamott, and a wealth of vocal soloists. Those vocalists were sopranos Chantal Santon-Jeffery and Helene Zindarsian, contralto Avery Amereau, tenors Thomas Cooley and David Kurtenbach, and baritone Hadleigh Adams. For the “grand finale” of the evening (and, thus, of the season), all of those vocal resources were joined by pianist Eric Zivian on fortepiano for a performance of Beethoven’s Opus 80 “Choral Fantasy.” This piece was actually written to be such a grand finale, the occasion being the famous (notorious?) 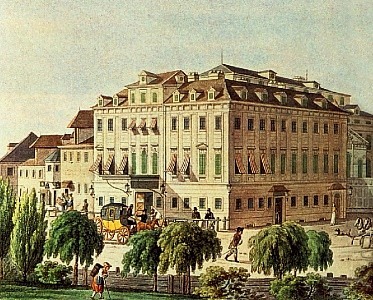 “musical Akademie” concert that Beethoven organized and presented at the Theater an der Wien on December 22, 1808. Beethoven presented about four hours worth of his own music, both directing and performing at the keyboard. Opus 80 was designed to include all those who had participated in any of the preceding offerings on the program. That performance of Opus 80 most likely began with Beethoven improvising at the keyboard, eventually homing in on a theme that would be given strophic treatment for the remainder of the composition. (Beethoven never bothered to document his improvisation. When he prepared the piece for publication by Breitkopf & Härtel in 1811, he wrote a new introduction, which may or may not have incorporated any memories of what he played in 1808.) The strophes first play the theme in a variety of instrumental settings, then the vocal soloists take their turn in several different combinations. Finally, the full chorus joins in on the fun, bringing the whole affair to a rousing conclusion. Roughly 24 hours ago I was writing about how hard it was to suppress a fit of the giggles while listening to Franz Liszt’s second piano concerto in A major. Beethoven’s Opus 80 has a similar effect. However, if the reaction to Liszt is basically a Whiskey Tango Foxtrot approach to his unabashed excesses, the giggles for Beethoven are those of the unrestrained joy that comes when this piece is performed well. The Opus 125 (“Choral”) symphony may have drawn upon Friedrich Schiller’s “Ode to Joy” poem; but in Opus 80 Beethoven takes the somewhat more mundane verses of Christopher Kuffner and endows them with a dazzling spectacle that easily elicits sheer delight from all but the most inveterate sourpuss listeners. McGegan and all the resources he led could not have picked a more delightful way to wrap up the season. Similar resources were summoned to open the program with Beethoven’s Opus 86 Mass setting in C major (excerpts from which were part of the Akademie program). This may well have been written for a church service, in which the sections of the Mass are distributed across the other parts of the ritual. This would explain why Beethoven could shift from C major to A major between the Gloria and Credo sections. His instrumentation included natural horns, and they would have needed time to change their piping and warm up their altered instruments. Nevertheless, the score itself emerges as a somewhat routine approach that may have been written “on spec.” One could definitely appreciate the rich qualities of wind and brass sounds that colored the overall texture, qualities that are much more evident through the distinct individualities of historical instruments. Just as impressive were the vocal contributions of Santon-Jeffrey, Amereau, Cooley, and Adams, as well as the full Philharmonia Chorale. Nevertheless, for all of the attentiveness of the players, the music never quite rose to the level of the sort of visceral response evoked by Opus 80. 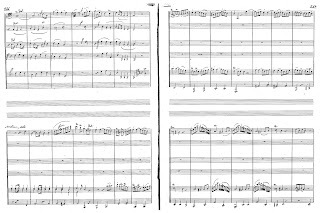 The two Beethoven selections were separated by Luigi Cherubini’s motet “Chant sur la mort de Joseph Haydn” (song on the death of Joseph Haydn), scored for soprano, two tenors, and orchestra. The piece is somewhat odd, particularly since Cherubini wrote it in response to a report of Haydn’s death that turned out to be false (fake news?). The structure consists of a recitative for each soloist followed by a vocal trio. Cherubini is probably given less attention than he deserves. He was one of the founders of the Conservatoire de Paris, and Beethoven was an enthusiastic admirer of his work. He received far more attention when I was younger, perhaps because his Médée (Medea) opera was part of the repertoire of Maria Callas. Nevertheless, when one listens to his motet, it is not hard to see the sources of Beethoven’s appreciation. Ultimately, the performance revealed excellent judgement from McGegan on how to balance the two Beethoven offerings. 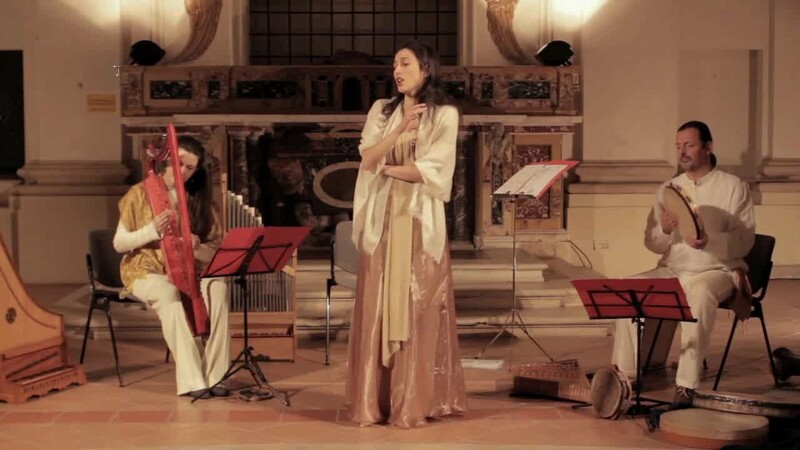 The next music event to be hosted by the Italian Cultural Institute (Istituto Italiano de Cultura, IIC) will be a concert by the early music ensemble Sensus. This is a trio whose members are, in the order shown in the photograph above, Cristina Calzolari (gothic harp, clavicytherium, and portable organ), Arianna Lanci (vocals), and Marco Muzzati (psaltery and percussion). They are currently touring with a program entitled Aman Sepharad: music from the Sephardic Jewish communities of the Mediterranean. As the group’s Web site explains, their repertoire consists of female songs handed down from mother to daughter. Following the Reconquista in 1492, the Sephardic Jews of Iberia were expelled. This led to a diaspora that distributed itself across the Mediterranean, North Africa to the south and the Balkan peninsula to the north. The usual tendency is to associate “Jewish music” with klezmer; but klezmer is the traditional music of the Ashkenazi Jews, who settled in the northern and eastern regions of Europe; and klezmer songs are usually sung in Yiddish. However, Sepharad is the ancient name of Spain; so the title of the program translates as “farewell Spain.” The songs of the Sephardic Jews that will be performed on this program reflect those Spanish influences that endured even after the diaspora. This concert will begin at 6:30 p.m. on Friday, May 11, and will probably last for about two hours. IIC is located in the Civic Center at 601 Van Ness Avenue, Suite F. Admission is free, but registration is required to assure having a place. IIC has created a registration page specific for this event. Anyone who registers may also add the names of a maximum of two additional guests. Those wishing further information may call IIC at 415-788-7142. This Sunday Will Marshall’s monthly Embassy Groupmuse chamber music recital will be given by the Friction Quartet, whose members are violinists Otis Harriel and Kevin Rogers (who share leadership), violist Taija Warbelow, and cellist Douglas Machiz. Friction has done an impressive job of building up an exciting repertoire of recent works. This particular program will be framed by two of them, beginning with “The Still Dancers” by Belfast-based Piers Hellawell and concluding with “Spitfire” by Porter Robinson from Chapel Hill (in North Carolina). Between these two ambitious contributions to the 21st-century repertoire, Friction will play a composition that had just as strong an impact on the nineteenth century, Ludwig van Beethoven’s Opus 133 “Große Fuge,” which may be as challenging for the listener as it is for the players. Admission will require a $10 minimum donation for the performers, along with a $3 reservation fee. Reservations must be made through a groupmuse Web page, after which specifics about the venue, which is in the Lower Haight, will be provided. Those who attend will be invited to bring a bottle of wine or snacks to share with other guests. Those considering registering should be informed that the venue is not wheelchair accessible and that the residents include cats. This past Friday Avie Records released its latest album of tenor Nicholas Phan, entitled Illuminations. The title refers to the last selection on the disc, Benjamin Britten’s Opus 18 song cycle, scored for soprano or tenor and string orchestra and first performed in 1940. Britten, in turn, took his title from Illuminations, an uncompleted collection of prose poems by Arthur Rimbaud. Whey they appeared in book form published in October of 1886, Paul Verlaine, who had been Rimbaud’s mentor and then his lover, proposed the title Les Illuminations, which is also the title that Britten used when he set selections from this collection. Phan chose to precede his Britten selection with two settings of Verlaine’s poetry. There earlier of these was La Bonne Chanson, which Verlaine wrote as love poems to Mathilde Mauté de Fleurville, who was 16 years old at the time, between the winter of 1869 and the spring of 1870. (Verlaine was then 25, and he married the object of his affections shortly after completing his collection of poems.) Between 1892 and 1894 Gabriel Fauré set nine of the poems from that collection, scoring the accompaniment for both piano and string quartet. Verlaine has his first contact (through a letter) with Rimbaud in September of 1871; and by the following year he had abandoned both his wife and their son. So began his stormy relationship with Rimbaud. In 1886 Claude Debussy set six of Verlaine’s poems from that time for voice and piano, giving the collection the title Ariettes oubliées (forgotten songs). Note that, while Fauré was the older composer, Debussy wrote his set before La Bonne Chanson; and Phan arranged his album according to the chronology of the texts, rather than the music. One result is that the attentive listener who approaches this album as a whole is likely to experience a sense of a noticeable darkening of mood. There is a genuine warmth of affection in the Fauré settings; and the composer’s decision to supplement piano accompaniment with a string quartet enhances that warmth. This is ensemble work at its best; and the members of the Telegraph Quartet (violinists Eric Chin and Joseph Maile, violist Pei-Ling Lin, and cellist Jeremiah Shaw) knew exactly how to blend with pianist Myra Huang to provide just the right context through which Phan could express Verlaine’s intense passions. However, by the time of the poems that Debussy set, that intensity had acquired a sharper edge; and, through his chemistry with Huang, Phan knew how to home in on the poets darker moods. It would not have escaped Britten that the poems of Les Illuminations were those of a dark soul. By 1939, when Britten began work on Les Illuminations, he had cultivated a prodigious knowledge base on the string ensemble. (He had been working with string since 1934, when he transformed his juvenilia into his Opus 4 “Simple” symphony.) He understood the full breath of sonorities afforded by those instruments, and he had unfailing skills when it came to blending those sonorities. It goes without saying that his understanding of the tenor voice was just as comprehensive, given his relationship with tenor Peter Pears. 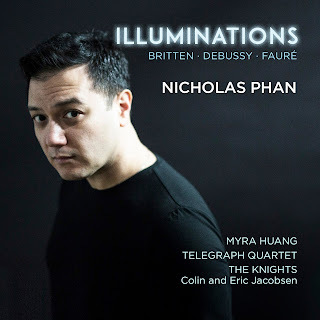 The string players of The Knights clearly knew how to present Britten’s skill set in the best possible light, thus providing just the right context in which Phan could plumb the dark depths from which Rimbaud conceived the poems that Britten chose to set. One may thus say that any sense of illumination has faded by the final track of this new recording; but, however, dark it may be, this is a journey well worth taking, particularly for those interested in how both Verlaine and Rimbaud inspired new approaches to musical expressiveness. 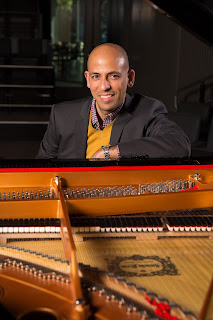 Readers may recall that this past Sunday this site provided an article about the latest album led by Venezuelan-born jazz pianist Edward Simon, entitled Sorrows and Triumphs. Those who prefer the spontaneity of jazz being performed to any recorded account (even those taken from a performance setting) will be happy to know that Simon will be the featured artist in next month’s Jazz in the Neighborhood event at the Community Music Center (CMC). He may well use this occasion to showcase some of the tracks from Sorrows and Triumphs. Even for those who have come to know this recording, the occasion promises to offer a fresh account. For this performance Simon will lead a trio, whose other members will be Peter Barshay on bass and Alan Hall on drums, neither of whom contributed to the recording of the album. 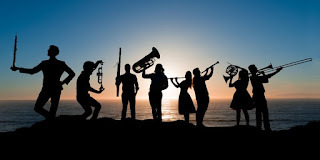 This performance will take place in the CMC Concert Hall, which is located in the Mission at 544 Capp Street, between Mission Street and South Van Ness Avenue and between 20th Street and 21st Street. The performance will begin at 8 p.m. on Friday, May 18. Tickets will be sold at the door at prices of $20 for adults and $10 for students and seniors. Tickets may be purchased in advance through a hyperlink on the Jazz in the Neighborhood Tickets Web page. Those wishing further information may call 514-647-6015. 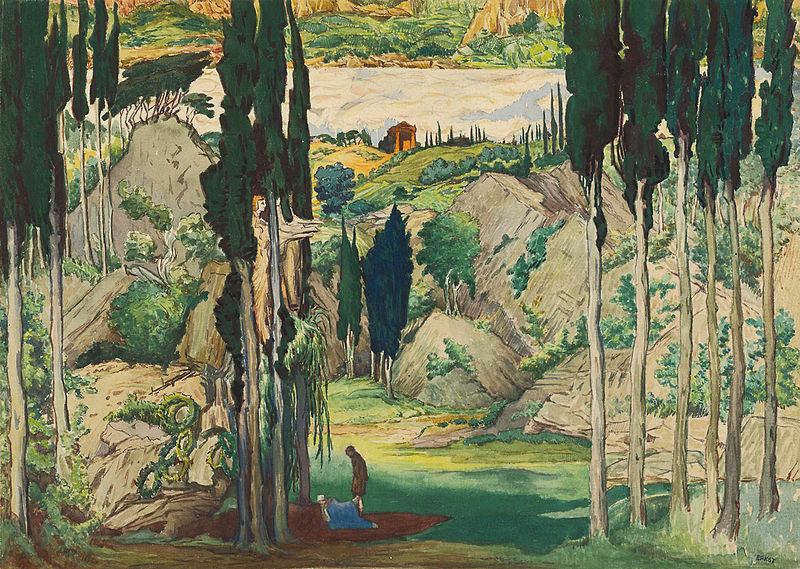 Towards the end of last year, the German Coviello Classics label released a new recording of the complete score that Maurice Ravel composed for the one-act ballet in three scenes, “Daphnis et Chloé,” choreographed for the Ballets Russes by Michel Fokine. Originally available only as an import, American distribution began this past February. The performance is by the Sinfonieorchester Aachen, led by its Generalmusikdirector at the time of recording (June of 2015), Kazem Abdullah. Like Fokine’s ballet, first performed on June 8, 1912, Ravel’s score is seldom performed in its entirety. One reason is that performance requires a full chorus, which never sings any text but simply provides additional shades of color to Ravel’s imaginative approach to instrumentation. This particular recording draws upon the participation of six different choral groups, five from Europe and one from the United States. By way of a chronological perspective of the Ballet Russes repertoire, Fokine created “Daphnis et Chloé” after having choreographed “Petrushka,” which was first performed, with music by Igor Stravinsky, on June 13, 1911. Of greater interest is that the “Daphnis” ballet preceded Vaslav Nijinsky’s “The Rite of Spring,” whose choreography and equally provocative music by Stravinsky sparked a still-remembered riot on May 29, 1913. Both Stravinsky scores went on to become “staple” offerings in the concert hall, contrasting significantly with Ravel’s complete score. This should not be taken as a swipe at Ravel. Working under the encouragement and support of Sergei Diaghilev, Stravinsky built up a highly effective toolbox of techniques for reinforcing the narrative of a ballet scenario. Those techniques were already vividly clear in his score for Fokine’s “The Firebird,” composed in 1910; and, by the time he had advanced to “The Rite,” one might almost say that the music contributed more to the scenario than the dancing did. 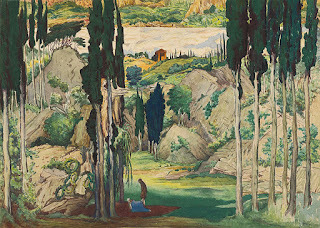 Ravel, on the other hand, was more in his element in concert and recital halls; and the scenario for “Daphnis” was basically a pastoral punctuated by only a few episodes of compelling action. This may explain why the two suites that Ravel extracted from his score (particularly the second) have endured strongly up to the present, while only the most passionate balletomanes are likely to be able to tell you anything about Fokine’s contribution. 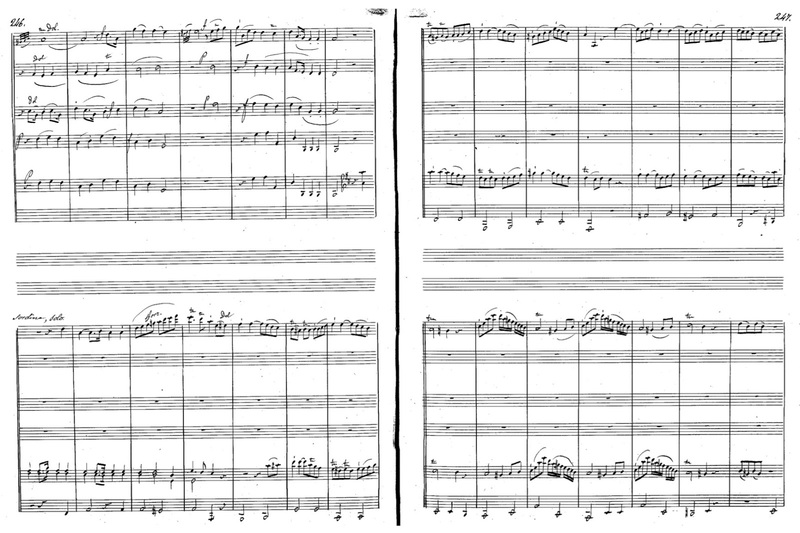 Nevertheless, the full score tells the attentive listener much about Ravel’s capacity to work with sonority as compellingly as he could work with thematic material. On this recording Abdullah’s leadership clearly understands that capacity all the way down to all of the composer’s intricate details, including those requiring treating the choral resources as another ensemble of instruments. From a practical point of view, concert encounters with Ravel’s full score are likely to be few and far between; but this recording provides more than adequate compensation for that lack of opportunities. 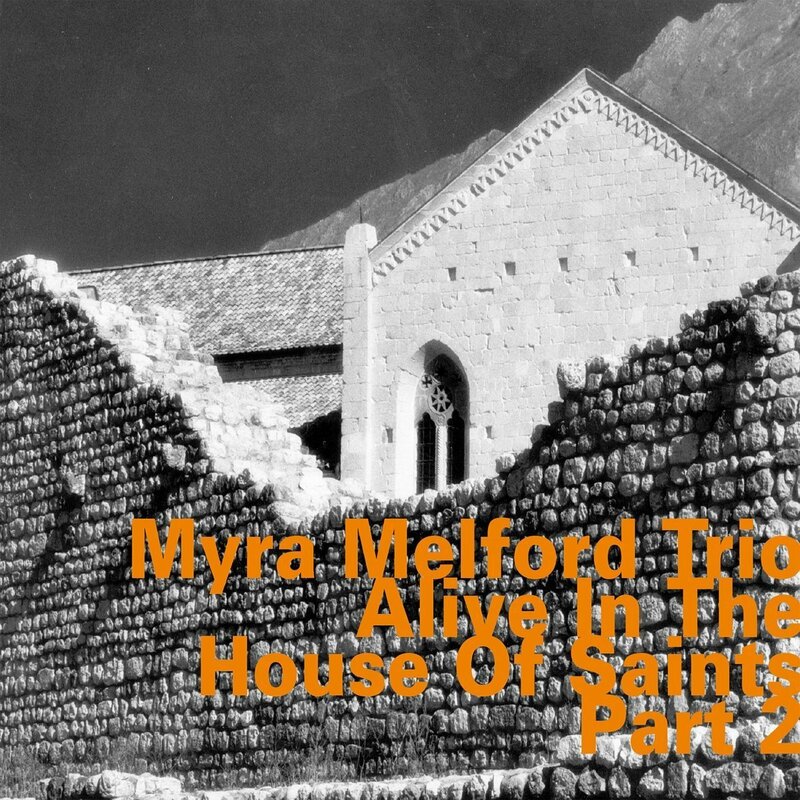 At the beginning of July of last year, this site reported on the reissue by HAT HUT of the first of two CDs recorded by the Myra Melford Trio in Germany in February of 1993. 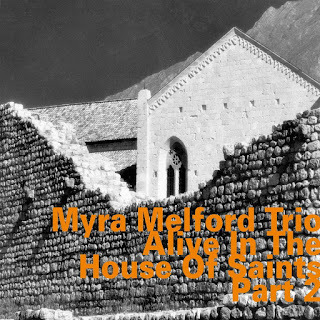 The two-CD album was originally released under the title Alive in the House of Saints; and the four tracks of the first CD were all recorded in Heiligenhaus at a place called simply The Club. The second CD hit the street this past February; but, as a result of my never-ending struggle to juggle my priorities, I was only able to give this album serious listening this morning. Although Melford currently teaches at the University of California at Berkeley, I have to confess that these two CDs provided my first introduction to her work. Calling it “her” work may be a bit unfair. Melford, who is a pianist, formed a trio with Lindsey Horner on bass and Reggie Nicholson on drums in 1990; and that was the group that found itself in Germany as part of a Knitting Factory tour. While Melford is listed as the composer of all the selections (four on the first CD and six on the second), each piece is very much a conversation among equals. The first four tracks of the second CD come from that same date at The Club. February 5, 1993. The remaining two tracks were recorded earlier (February 3) at the Alte Oper, the original opera house in Frankfurt am Main. The jacket notes for the second CD were written by Andy Hamilton on October 14, 2017 (i.e. after the reissue of the first CD). He begins by calling Melford a polystylist and then devotes the rest of his text to trying to explain what that means, classifying any number of familiar names (not just from the jazz world) in terms of whether or not they belong to that category. Personally, I have to say that, when you have to go to that much effort to explain what you mean by a category label, then the label itself may not be as useful as you wish it to be. Mind you, you will not be able to hum “Señor Blues” while listening to “Some Kind Of Blues;” but that is just the point. Silver is never more than that “faint spirit,” a ghostly presence observing how this trio can take any traditional idea about blues and veer it off into another direction. I shudder to think that, sooner or later, there were be an academic treatise on the connection between these two pieces. As far as I am concerned, it is enough to have fun listening to this track. My tastes being what they are, I was almost immediately reminded of Mel Brooks’ science fiction parody film from 1987, Spaceballs, in which Dark Helmet (Rick Moranis) poses the metaphysical question “When will then be now?,” to which Colonel Sandurz (George Wyner) replies “Soon!” It takes more than a little chutzpah to mess with time-consciousness; but Brooks knew enough about the real thing to do it right. Melford may not be as aggressive as Brooks was, but she is just as enjoyable. 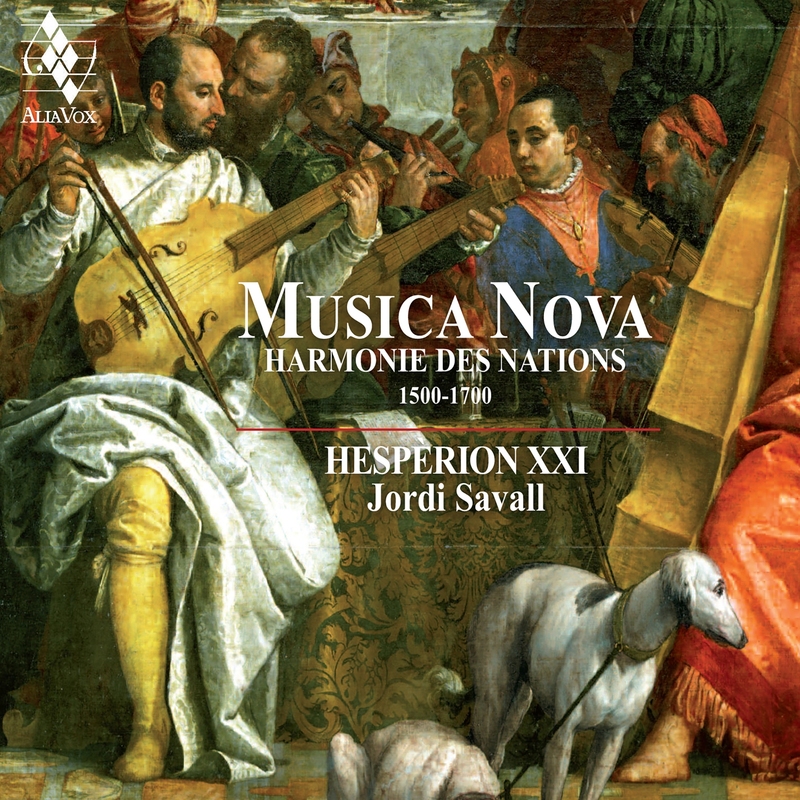 As can be seen from the design of its cover, the latest album featuring the early music ensemble Hespèrion XXI and its Director Jordi Savall is entitled Musica Nova: Harmonie des Nations 1500–1700. ALIA VOX will release this recording this coming Friday; and, as may be expected, Amazon.com is currently processing pre-orders. The release will take place just before Hespèrion XXI will begin a North American tour on April 29 in Durham, North Carolina. The tour will last about two weeks, concluding at the Boston Early Music Festival on May 11. Because a little knowledge is a dangerous thing (thank you, Alexander Pope), enthusiastic readers should be cautioned that the album title does not refer to ars nova, the term that designates how polyphony in the fourteenth century differed significantly from the polyphonic practices at Notre Dame (ars antiqua), which developed between 1170 and 1320 and are usually taken to be the earliest disciplined practices of polyphony. As one can tell from the dates in the album title, this is a much later period, during which at least three publications of collected music were published using that same title, two in Venice (instrumental music in 1540 and vocal music in 1568) and one in Leipzig in 1626, consisting of the music of Johann Schein. However, none of these collections figure in this new album either! Instead, the album surveys the development of repertoire for a consort of viols. The origin of this instrument dates from the end of the fifteenth century; and, as Savall observes in his booklet notes (translated into English by Jacqueline Minett), the instrument was made to imitate the human voice, meaning that it could be played in groups with parts corresponding to soprano, alto, tenor, and bass. At this point I should depart from the technical and confess that I am a sucker for viol consorts. The summer when the training Academy run by American Bach Soloists had enough viol students to form (together with their teacher) a viol consort remains a high point in my memories of past listening experiences. The extended number of strings (usually six) and the reverberations arising from the tuning of the open strings endows the instrument itself with some of the richest sonorities in the string family; and, when these instruments perform as a group, the impact can be overwhelming. That impact is what makes this new album such a treat. The basic consort consists of Savall (also serving a leader), Sergi Casademunt, Lorenz Duftschmid, and Philippe Pierlot. Continuo is provided by Xavier Puertas on violone and Xavier Díaz-Latorre alternating among archlute, theorbo, and guitar. 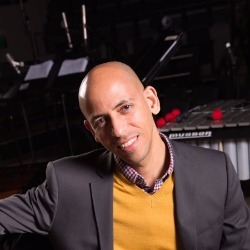 In several of the selections they are joined by percussionist Pedro Estevan. The selections themselves are presented in roughly chronological order, beginning with anonymous dance music from Venice dating from the very beginning of the sixteenth century and working through to the end of the seventeenth century with selections of Iberian dances and music based on the “Folia” theme. As might be expected, some of the composers are better known than others. The British contributors, John Dowland and Orlando Gibbons, are likely to be the best known, as will be Marc-Antoine Charpentier, who wrote music for the consort of viols that performed in service to King Louis XIV of France. Those of a more scholarly bent might be inclined to track the “progress of history” over the course of this album; but I have to confess that my own personal inclination is just to sit back and enjoy it all! Thursday, April 26, 8 p.m., LSG: This week’s offering will consist of two solo electronic sets. The first will present the electronic sound art, basically environments structured around field recordings, created by Jorge Bachmann, who presents these offerings under the performance name [ruidobello]. He will be followed by Doug Lynner, who will present the Mystery Serge, a highly versatile analog synthesizer designed by Serge Tcherepnin. LSG is located at 1007 Market Street, across from the corner of Golden Gate Avenue and Taylor Street; and admission is on a sliding scale between $8 and $15. Saturday, April 28, 6:30 p.m., C4NM: Sing If You Believe will be a jazz trio recital presented by C4NM founder Adam Fong, playing with Mohan Sundararaj and George Ayala. This will be C4NM’s spring recital for which admission will be free. Instead, attendees will be invited to contribute voluntary donations as a means of continuing support for C4NM operations. The trio will play original compositions and jazz standards. Wine and cheese will be served. C4NM is located at 55 Taylor Street, half a block north of the Golden Gate Theater, which is where Golden Gate Avenue meets Market Street. Since I am fortunate enough to possess the CD release of the entire canon of RCA Heifetz recordings, I am happy to state with confidence that Midori never showed the slightest sign of channeling (or even trying to channel) Heifetz’ spirit. Her interpretation of every sonata was uniquely her own, and that uniqueness often disclosed fascinating new insights. This was most evident in her approach to the Franck sonata. She took a discursive approach to her phrasing that may not have been consistent with Franck’s own approaches to performance. Nevertheless, it disclosed to the attentive listener unique insights as to how each phrase was shaped, leading to a sense of inquiry that pervades the first three movements and is only resolved in the final movement when the composer falls back on one of the earliest polyphonic techniques, that of canon. The result was one of those rare occasions when past familiarity was blown away by new perspectives bringing priority to details of the composition that had not previously been explicitly realized through previous interpretations. Equally impressive was her approach to the Respighi sonata. This piece is performed so seldom that all of my knowledge of it comes from that one Heifetz recording. However, Midori communicated a sense of unity of the whole that never came across quite as strongly on the recording (perhaps because that recording was a product of several disjoint studio sessions). Midori made it clear that the very opening gesture became the spinal cord of the entire sonata, returning in the following two movements but never forcing itself on the listener’s attention. The affect was one of an intimate exchange of thoughts, a rhetorical stance that those who know Respighi through his tone poems would not associate with him. The “First Viennese School” selections on the program may have been more familiar (in spirit, if not in flesh); but they still both enjoyed fresh interpretations. Midori’s approach to phrasing her Mozart seemed to suggest its transitional qualities, almost as if the music was beginning to chart the path that Schubert would later follow. Particularly interesting was the scrupulous attention to dynamics in the Mozart performance, making it clear that both violin and piano were on equal terms. That approach to “division of labor” would return across the full canon of violin sonatas by Ludwig van Beethoven; and Schubert would then continue that strategy in his D. 408. The overall result was a highly satisfying journey through the violin sonata repertoire, capped off by an unannounced encore that I do not think I have encountered in any of the many recordings that Heifetz made of short pieces. There was a clear sense of ragtime though the presence of at least one Scott Joplin trope. However, the overall effect did not suggest that this was an arrangement of a Joplin piano rag. Yesterday evening at the Episcopal Church of St. Mary the Virgin, Director of Music Eric Choate presented the latest installment in his Candlelight Concert series. These events are free and therefore depend significantly on donations left when the members of the audience depart. Yesterday’s concert was given by the local early music ensemble MUSA. The program was MUSA’s fourth installment in a series called Art Inspiring Art, organized around new repertoire for harpsichord and string quartet. The quartet consisted of violinists Tyler Lewis and Laura Rubinstein-Salzedo, violist Sarah Bleile, and cellist Gretchen Claassen, all playing relatively recent instruments but with gut strings. The harpsichordist was Derek Tam, one of the group’s founding members. On this program the source of artistic inspiration, so to speak, came from Abbie Phillips Walker, the author of several “sandman” books of relatively short stories that parents could read to their children at bedtime. Nick Benavides selected six of these as inspirations for the movements of a suite he entitled The Color Festivals. Walker’s tales tended to have ironic twists and often eccentric characters. Benavides could thus use MUSA’s instrumentation to explore Walker’s character traits through the contrasts between the “contemporary” sonorities of a string quartet and the “dated” connotation of the harpsichord. Also, in recognition of continuo tradition, he afforded the harpsichord several opportunities for improvisation. Benavides took the time to summarize each of the stories before the performance began. This was useful, since I (at least) had never previously heard of either the author or her stories. However, the details were less important than the overall rhetoric of idiosyncrasy, which set expectations for how the music would reflect on each of the stories. For the most part those expectations were satisfied; and I, for one, hope that this music will be given further performances. Each piece was engagingly clever on the surface, and I suspect that each will be able to hold up to repeated listening by gradually revealing more substantive foundations. The preceding selections on the program came from the twentieth and eighteenth centuries, respectively. The earlier work was by the Catalan composer Antonio Soler. Soler is best known for his keyboard music, which is currently the subject of an ongoing recording project by Naxos. He is also associated with a fandango, but there is now some question as to whether he was actually the composer of this piece. In 2016 this site discussed a collection of six concertos for two organs, which were probably written for pedagogical purposes and had a fascinating backstory about how they were originally played. In 1776 Soler published a collection of six quintets scored for strings and obligato keyboard. The strings were the instruments of the string quartet as we now know it. (For the record, Joseph Haydn’s first collection of six string quartets was published in 1764.) There is some indication that the preferred keyboard instrument was an organ. Yesterday MUSA performed the fifth (in D major) of these six quintets with Tam taking the keyboard part on harpsichord. One wonders how Soler would have fared had he been in Vienna, rather than at the court of King Philip V of Spain. The opening selection was a concertino for harpsichord and string orchestra by the British composer Walter Leigh. Born in 1905, Leigh was best known for “functional” scores he composed for stage and screen. He was particularly adept in the techniques of creating film soundtracks, beyond his skills at simply composing music for those soundtracks. He joined the British Army to fight in the Second World War and was killed in action in 1942 during fighting near Tobruk in Libya. The concertino was written in 1934 for Elizabeth Poston, who was primarily a pianist. In other words this was not one of the many harpsichord concertos commissioned by Wanda Landowska to promote her “revival” of the instrument, the best known of which were composed by Manuel de Falla (1926) and Francis Poulenc (1928). Listening to Leigh’s score, one gets some sense that he knew about these pieces but still had no trouble finding a way to bring his own voice to his concertino. In the sanctuary of St. Mary the Virgin, the string quartet proved to be just the right size to balance effectively with Tam’s harpsichord work.